Sesame Street's "Coming Home: Military Families Cope with Change"
Well, it's very important to include families in the treatment plan. [brainlinemilitary] Often times, I think providers-- [A service of brainline.org] in healthcare, I think we're often too provider-centric and we feel that our interventions or our prescriptions are very important and they'll be followed to the letter of the law that we write our recommendations but I think that's not often the case. And so it's really important to involve families so they can reinforce recommendations, but they can also report when a symptom or kind of overall functioning is changing because that needs to be incorporated with the entire team. That also includes the veteran-- so team includes patient and physicians and therapists and family so that everybody can kind of work to set realistic and meaningful goals, with the overall, kind of overarching, goal of how to improve function, how to improve independence and, therefore, a better quality of life. And again, only the veteran and their family can determine what quality of life means to them. Providers know a treatment plan works best when the patient and family are involved with the medical team; the group can set realistic and meaningful rehab goals for quality of life. See more of Dr. Sholten's videos here. Posted on BrainLine December 14, 2011. 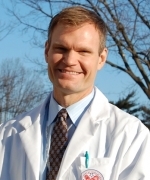 Joel Scholten, MD is associate chief of staff for Rehab Services at the Washington, DC VA Medical Center. He also works in VA Central Office within the PM&R Program Office as the national director of Special Projects. Produced by Ashley Gilleland and Victoria Tilney McDonough, BrainLine.